The choice of skincare products for men is almost endless, but here are my favourites Men's Moisturisers cream in 2018. From moisturising cream specially designed for sensitive skin, to 100% vegan and natural in this post you will have a selection of 5 products for under £20. 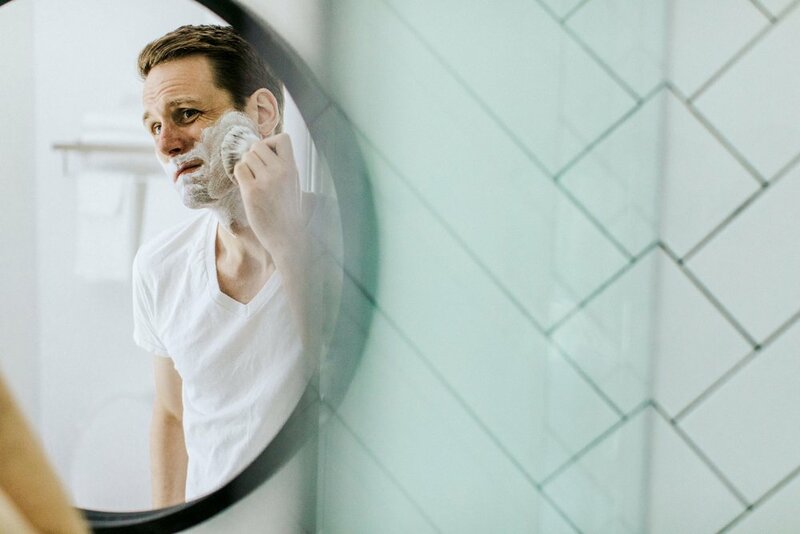 Monthly subscription is a booming business in the UK, and men have been targeted with shaving subscriptions that promise to deliver great shaving blades every month through the letter box. Shave and Subscribe is a new monthly Gillette blades and razors subscription. This is my full review. This post is the first of a series dedicated to a daily skincare routine for men Let's start with a good Face wash, and here are my Top 5. It's time to take care of our skin! I recently discovered the Johnny's Chop Shop range of shaving products and I have decided to use it everyday for 10 days before writing my review. NX Skin Formula is the excellent skincare for men range from NEXT, and here is my full review. I recently discovered British Barbers Association, a range of skincare and shaving products. This is my review of the shaving cream, shaving oil and post shave balm. The Personal Barber is a monthly subscription box specialised in traditional/wet shaving. Every month you will receive a set of new blades and a selection of soaps and skincare products. Is it good? It's time to find out! This is my full review of The Personal Barber. For more than 4 weeks I have been using Just for Men Control GX Grey Reducing Shampoo. This is my full review of this new and innovative product that promises to reduce grey and to keep a natural effect. Toppbox is a grooming monthly subscription box for men. Here is my full review of this refreshing service. This is my full review of Dozen Winks (traditional shaving). Bearded Colonel is a monthly subscription shaving club. This is my full review of my shaving experience with Bearded Colonel. This is my full review of Cornerstone shaving subscription service. During the day I work outside and in the winter the British weather is not the most enjoyable: cold, windy, and rain too! Protecting our lips is also very important for us men. Here is my review of the Fit Skincare Lip Serum. I have been using the Fit Moisturising Serum every morning after my shaving ritual. The result is outstanding. Here is my full review of this amazing product. My daily shaving ritual in less than 10 minutes. This is my daily shaving ritual! It takes less than 10 minutes!